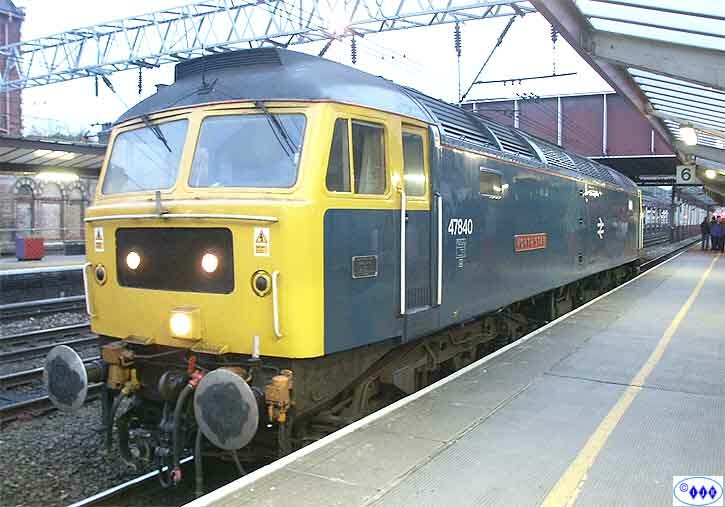 The first train to arrive while I was at Crewe was hauled by 47840 "North Star" to form the 14.25 for London ex-Preston. 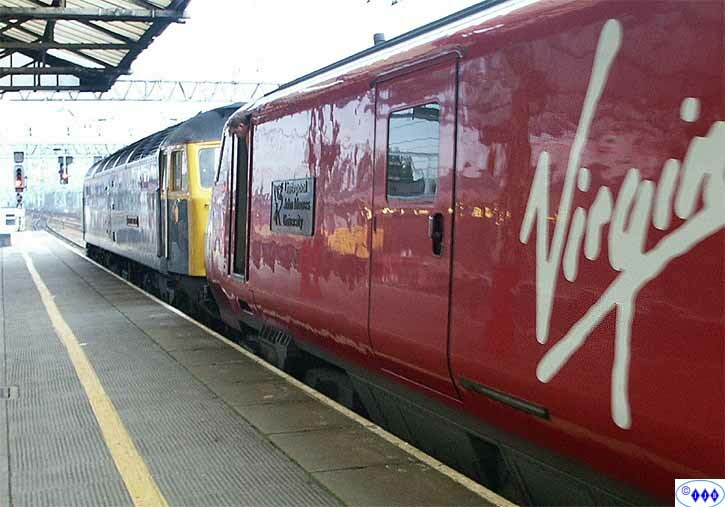 The DVT was 82115 and the AC locomotive at the rear was 87024 "Lord of the Isles". Already parked and ticking over in the bay platform was 47758. 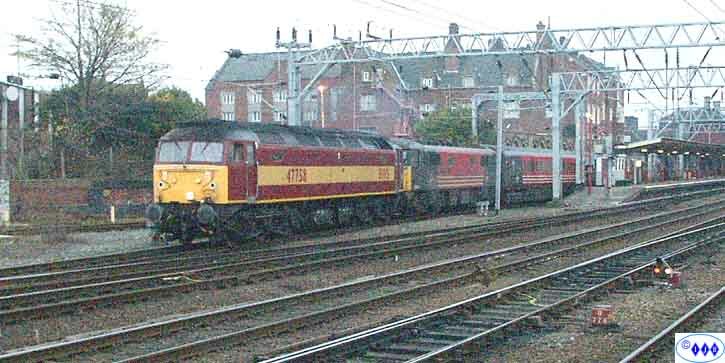 Later, this locomotive left with 87005 "City of London" in tow as the 14.50 for Liverpool. The light was now fading and to catch the trains moving it was necessary to adopt an ISO800 setting. 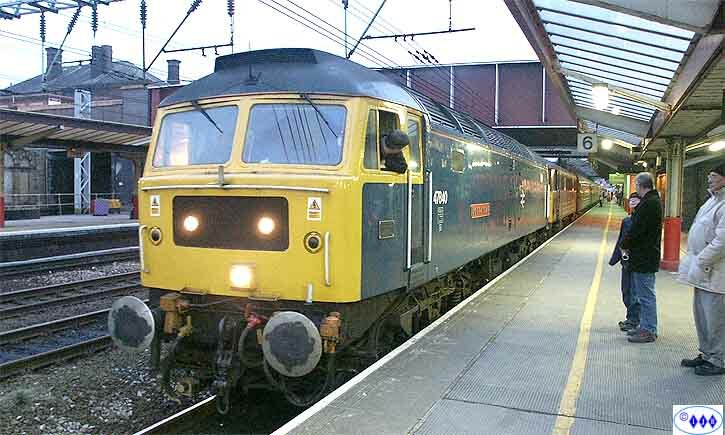 "North Star" returned to enter platform 6 and wait for an ex-London train to arrive to form the 15.52 for Preston. 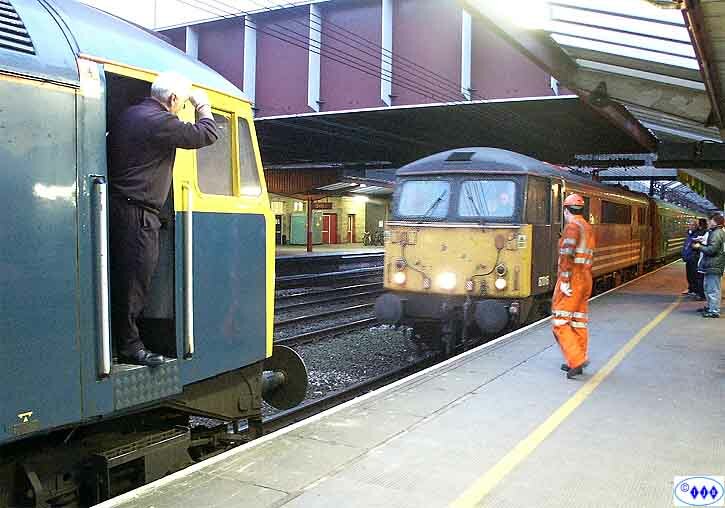 This is unusual for Crewe where, normally, the train will arrive and the replacement locomotive will reverse on. Here it was the other way round. The train arrived hauled by 87016 "Willesden Intercity Depot"
...which is why we have another grainy shot of 47848 "Newton Abbot Festival of Transport" arriving with the 13.40 from Liverpool. 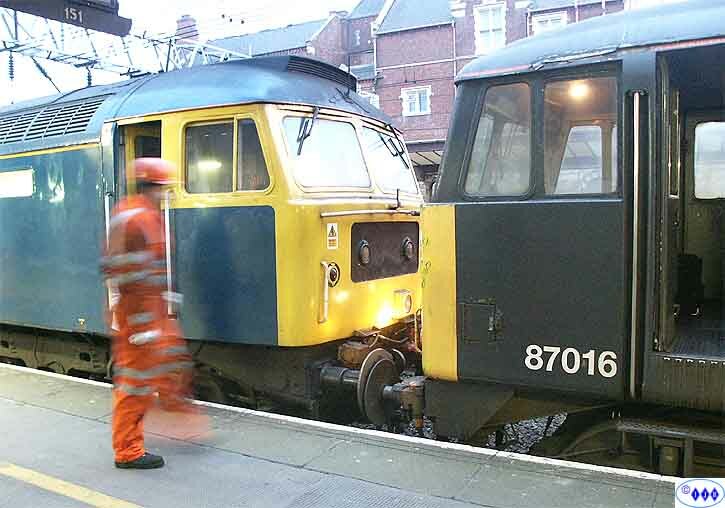 90004 was attached to the rear. 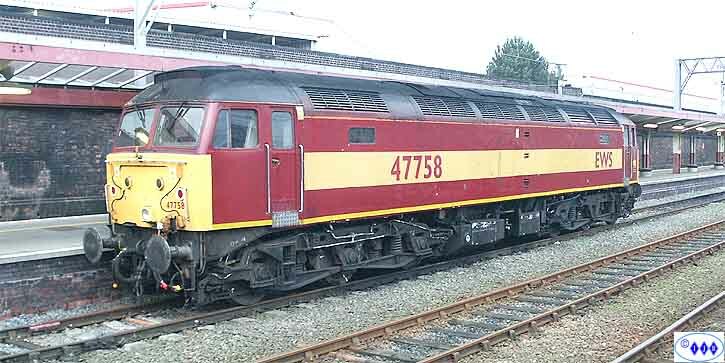 By now, "North Star" was hooked up and ready to go and, while everyone was watching the procedure, another drag appeared in the form of 47843 "Vulcan" with 86229 "Lions Clubs International" at the rear. My hurried shot was too blurred to reproduce! The light had virtually gone as the train left so I too left and didn't miss the biting East wind at all!